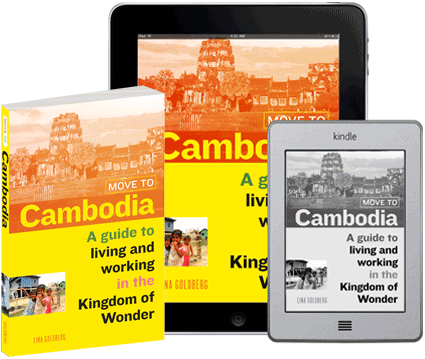 Phnom Penh is great for groceries, and you’ll be shocked to see how many items from back home can be found on the shelves of the city’s supermarkets. Toto, I don’t think I’m in Toul Kork anymore! Lucky is a chain of Western-style grocery stores in Phnom Penh (ten at last count). Lucky Supermarkets have a massive selection of foreign foods, including imported meats, fruits and cheeses, including specialty items including Greek yogurt and chorizo. If you want to stock your pantry, Bayon Market in Phnom Penh offers the widest array of dry goods at the lowest prices. From American cereals to Korean ingredients, Bayon has brands from around the world, including some surprising finds, like Costco-brand olive oil and vitamins. Thai Hout has a few locations these days and is a good place to get dry goods, dairy, and cupboard items. They’ve got a great selection of French wines and cheeses and French baked goods, plus an excellent array of European spices. The supermarket at Aeon Mall is a Western-style grocery with many uniquely Cambodia products. The Aeon supermarket at Aeon Mall is the flashiest grocery store in town. 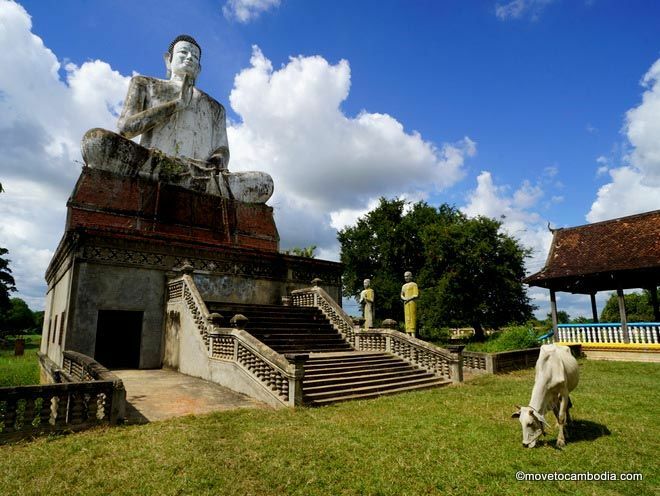 It combines the best of imported international products with traditional Cambodian foods. The pantry and dry goods section has a wide selection of international items, while the fresh foods department carries everything from silk worms to prahok. 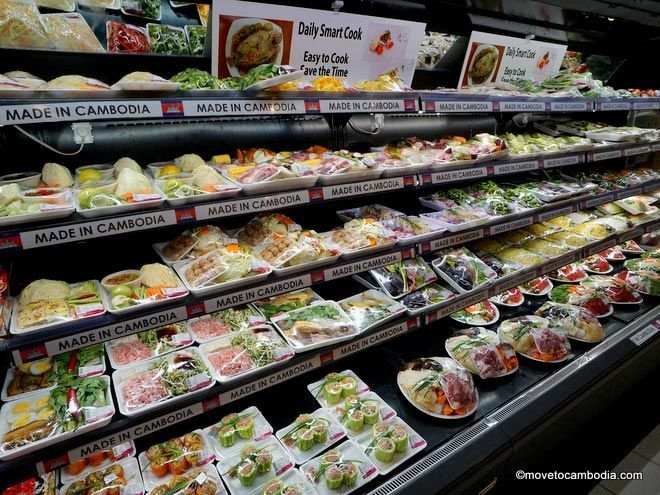 They’ve also got an amazing food court, with a huge selection of Cambodian dishes, sushi, and more. 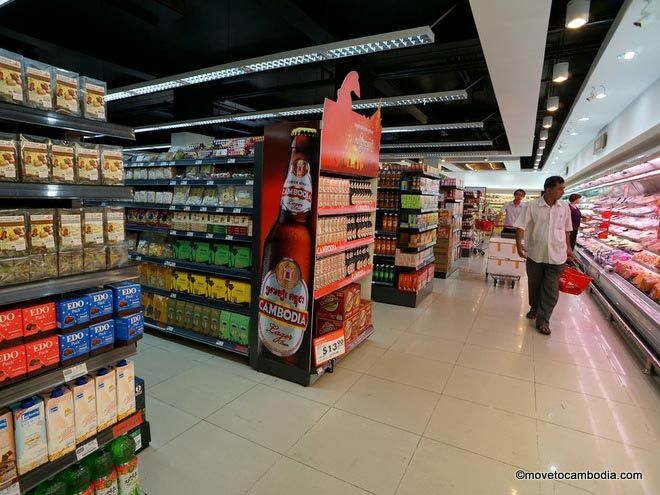 Super Duper is a new 24-hour grocery store in the Toul Tom Pong area. The store isn’t huge, but they stock a surprising array of all sorts of imported foods, plus a nice selection of things that you’d find in a grocery store back home but rarely in Cambodia, such as light bulbs, birthday candles, and batteries. The Providore is a new gourmet deli that offers a nice selection of French, Spanish, and Italian ingredients, including hard-to-find items. The deli items that will really appeal to Phnom Penh foodies — they carry Italian-style meats, Spanish charcuterie, preserved fish, and cheeses, and an excellent range of French soft cheeses. More of a specialty shop than a supermarket, Veggy’s offers a selection of frozen, imported meats and seafood, canned goods, and imported wines and features a cold room in the back that is packed with Western vegetables, meats, and cheeses. Organic produce in Phnom Penh? Maybe. 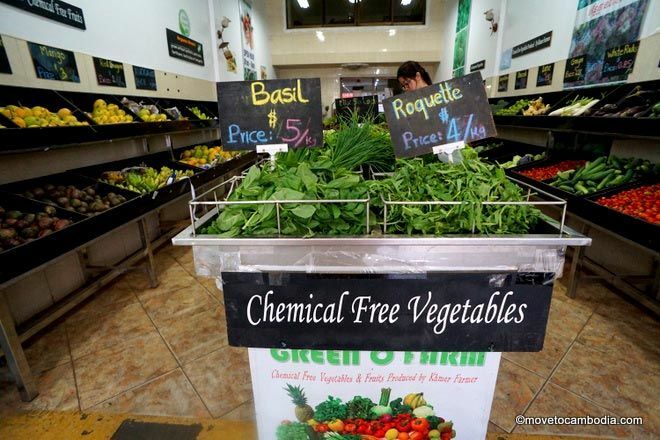 Chemical-free produce in Phnom Penh? Definitely. Natural Garden is the godfather of organic groceries in Phnom Penh and a leading produce supplier for many of the city’s hotels and restaurants. A member of Cambodia Organic Agricultural Association (COrAA), they grow and sell organic rice and chemical-free vegetables. 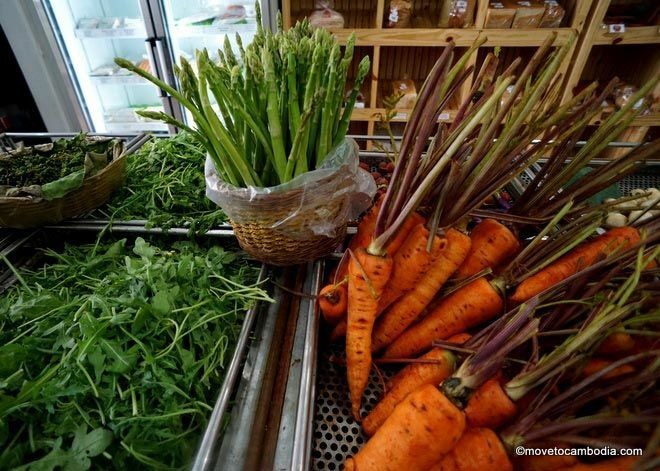 Amarak Veggie Store carries organic produce and locally produced products, with everything from Pursat wild grape wine to Cambodian mango jam, as well as the more ubiquitous items such as local palm sugar and Kampot pepper. They have a small but complete selection of high-quality fresh vegetables, herbs, and fruits. Green-O Farm sells both locally grown and imported chemical-free and organic vegetables. Happy Farm carries a selection of locally produced, chemical-free products from all around Cambodia. The Aeon supermarket has a surprisingly large selection of locally grown, organic vegetables, as well as organic vegetables imported from around Asia (including places they may have more stringent standards when it comes to growing and labeling organic). Farm to Table by Artillery has a selection of vegetables from Discovery Farms, a farm in Kampong Speu that is certified organic by COrAA. The selection is small and the prices are high, but they have a personal touch and have on-site events and daily specials. They can also organize weekly vegetable delivery boxes. Open daily, 8 a.m. to 9 p.m.
Open daily, 9 a.m. to 10 p.m.
Open daily, 7 a..m. to 8 p.m.
Open daily, 7:30 a.m. to 8:30 p.m.
Open daily, 8 a.m. to 8 p.m.
Open daily, 7 a.m. to 8 p.m.